The highly anticipated International Stadiums Poker Tour gets under way in a little more than a week in London, and more than 550 players have confirmed that they will be present at the most unique poker tournament of the year. The ISPT Main Event, which takes place at Wembley Stadium from May 31 through June 5, began online in February with Day 1 taking place across several partnering sites. Ten percent of the €300 buy-in Day 1 fields advanced to the live part of the tournament in London, where action will take place on the Wembley lawn from Days 2 through 6. All players who advanced online on Day 1 will take the number of chips they accrued into Day 2a at Wembley. The rest of the field will buy in directly for €3,000. Those players will begin Day 2 with 50,000 chips, with blinds starting at 100/200 and levels lasting 60 minutes. It's a reentry event, which means players will also have an opportunity to play on Day 2b (June 1) if they bust on Day 1a. 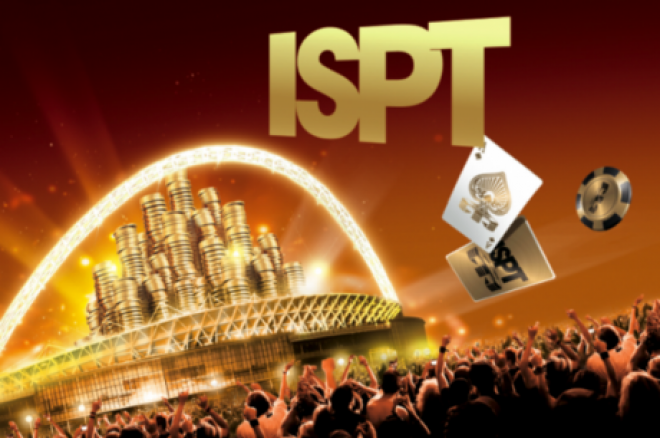 The ISPT festival at Wembley Stadium kicks off Friday, May 31 at 12 p.m. BST (7 a.m. EST). In addition to the Main Event there will be 14 side events, including a €5,200 High Roller event on Monday, June 3. PokerNews will be providing live coverage of the International Stadium Poker Tour event at Wembley Stadium, so check back next week to follow the groundbreaking tournament!